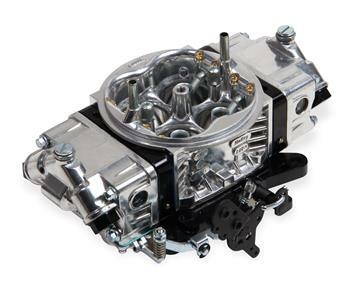 Holley is proud to introduce the all new aluminum Track Warrior carburetors. They utilize the best features from Holley’s Race Bred Classic 4150 HP carbs, and we have added billet metering blocks, billet base plate, and knurled (hand adjustable) curb idle screws. The Track Warrior features an aluminum contoured main body design and has screw in air bleeds for precision tuning capabilities. The all new aluminum Track Warrior weighs up to 40% less and adds horsepower and torque, pushing on the track performance to the next level! !